On February 14, 2018, Nikolas Cruz, 19, carried out a mass shooting attack at Marjory Stoneman Douglas High School in Parkland, Florida. Classmates, teachers, and people who knew Cruz described him as a stereotypical school shooter who had a troubled pass, mental illness, and a liking for violence and killing animals. Despite the fact that the intentions of the shooter were declared under his real name “Nikolas Cruz” on social media and reported to authorities, the FBI failed to act. On February 16, the FBI said that they did not act properly to address the threats that were reported to them. 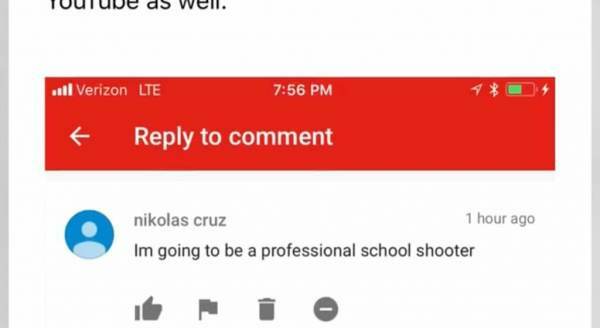 The FBI added that another individual who knew Cruz contacted the FBI in January of 2018 to express their concerns that the shooter was planning a school shooting. This video details the flawed process an individual goes through when they report a threat to the FBI. Laura also touches on why so many mass shooters and terrorists are not stopped by authorities before they carry out their attacks, despite the fact that the FBI frequently seems to be aware of the killers.